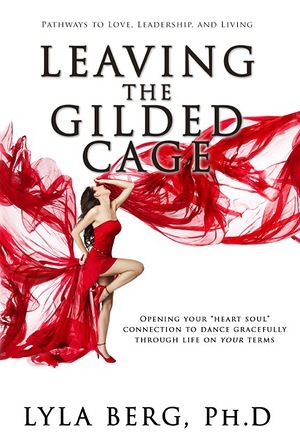 Leaving the Gilded Cage will offer you ways to navigate more smoothly through life’s complexities and confusion, rediscover your creativity, enhance your self-esteem, build meaningful relationships, and learn how to handle conflicts with grace. Author Lyla Berg will take you on a journey of rediscovery to open your “heart-soul connection” -- and revive yourself so you can create your life on your terms. Using an Argentine tango metaphor, Lyla invites you to discover your own tango—the driving passion that fills your heart with joy and raises your happiness barometer so you can see the new possibilities that today brings.